OneKind | Our Policies | Fox control - is it effective or humane? In Scotland, foxes are controlled to prevent them from predating on livestock and gamebirds, and for fun. 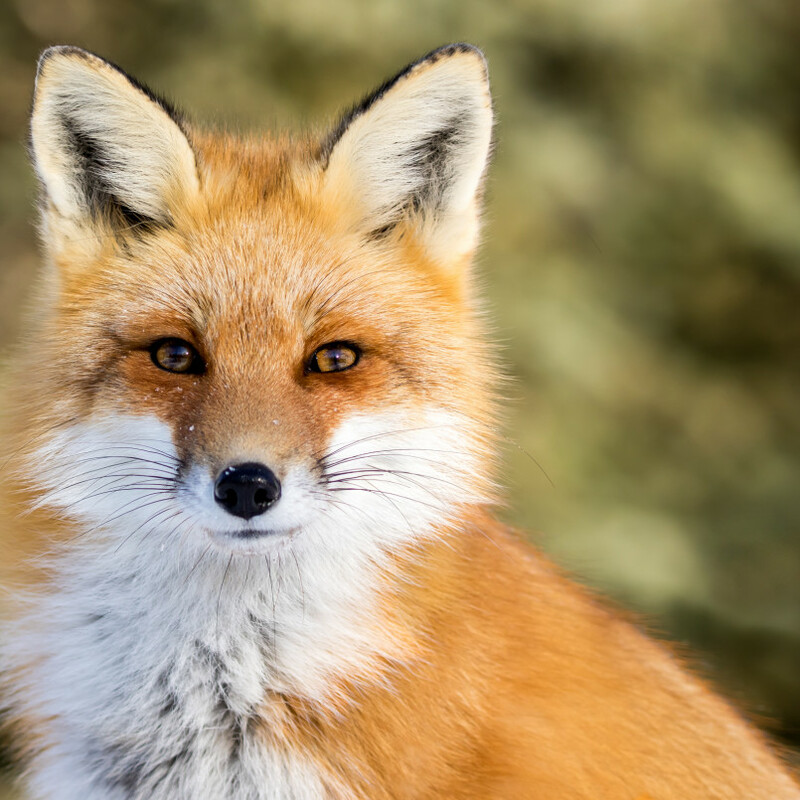 The reason that this occurs is largely because of false conceptions that foxes are “vermin” that cause serious damage to livestock and gamebird numbers. Snares consist of a wire noose that captures the fox around their neck. The intention is that the noose keeps the fox in place, so that the gamekeeper can kill them. However, being captured in a noose rarely causes foxes to keep still, and their struggle to escape often causes them serious injury, and even death. Lamping is when people go out in the night with a high-powered torch, which is used to detect the fox. They then kill the fox through shooting them, or by setting a pack of dogs on the fox. Stink pits are piles of rotting carcasses that are surrounded by snares. Whilst fox hunting with dogs was banned when the Protection of Wild Animals (Scotland) Act was introduced in 2002, it is still legal to use dogs to flush out foxes from the undergrowth, and then to shoot them. The killing of foxes is mostly carried out by the farming and shooting industry, and is done on a large scale. The most recent figures for the number of foxes killed using different control methods are from 2002. During this year 18,000 foxes were killed in the UK . Farmers control foxes as they claim that foxes cause serious damages to livestock numbers. Whilst foxes do kill livestock, they are predators after all, the numbers they predate are quite minimal. For example, a study found that on two separate farms, foxes were responsible for 0.6% lamb loss on one farm, and 1.5% lamb loss on another . Similarly, gamekeepers kill foxes because they threaten gamebirds, such as pheasants and red grouse. Despite this persecution of foxes, there is very little evidence that controlling foxes brings in benefits for the farming and shooting industry. Indeed, there is evidence that fox controls may actually exacerbate problems. This is because foxes are territorial and mobile, which means that if one fox is killed, then another will move into their territory . Furthermore, culling often creates increased activity around a territory, meaning that there will often be more foxes in one area. Foxes can also be beneficial to arable farming. They keep populations of rabbits in check, which can cause problems for arable farms as they eat their crop plants. There is evidence that, because of this, foxes could be worth £886 to farmers . OneKind believes that the killing of foxes is unacceptable from a welfare perspective and that there is little evidence that it solves the problem it is intended to solve. We therefore advocate for alternative approaches, and call on the government and industry bodies to invest in their development. As an example, reducing the loss of farm animals to fox predation can be achieved by increasing the security of the housing that the animals are kept in. Indeed, research suggests that farms where higher losses of animals are recorded often have poor animal husbandry . Other solutions are more novel, for example having a guard animal such as a llama. There have been numerous examples in the UK where llamas are used to protect livestock, for example in south-east England, they protect turkeys . Whilst this may seem like an unusual solution, it apparently offers a cheap and effective means of improving husbandry and reducing losses to predation. Llamas can live outside all year, and scare away predators including foxes. Of course, other guard animals can be used, including alpacas, dogs and donkeys. OneKind has long campaigned for bans on snares, stink pits, and we are urging the Scottish Government to introduce a tighter fox hunting ban. The bio-economics of fox control. In Tattersall, F. & Manley, W. (editors) Conservation and conflict: mammals and farming in Britain. Otley, West Yorkshire: Westbury Publishing, pp. 220-236.